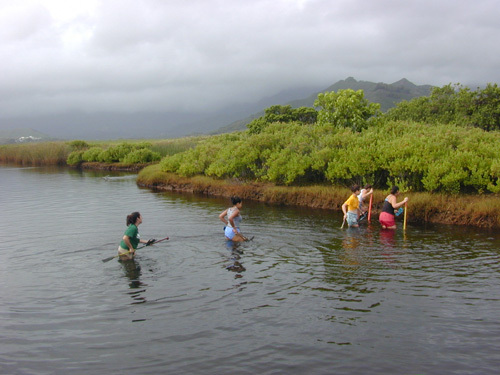 ...while others opted to wade over to the islet. What is a mitigation islet? 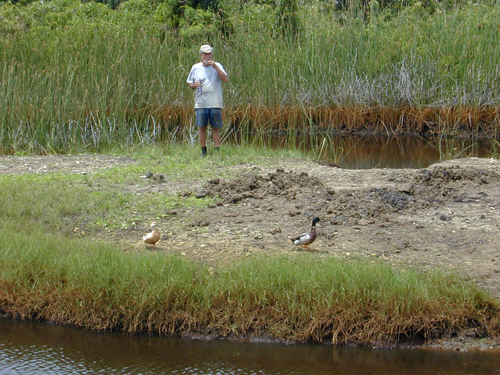 Two ducks check out changes to the mitigation islet as volunterer Ron Walker (‘Ahahui Mālama i ka Lōkahi) looks on. Compare vegetation on surface with that in photo above, taken two months earlier. Just out of frame in lower right and on other side of islet are ramps to allow wading birds access to the islet. 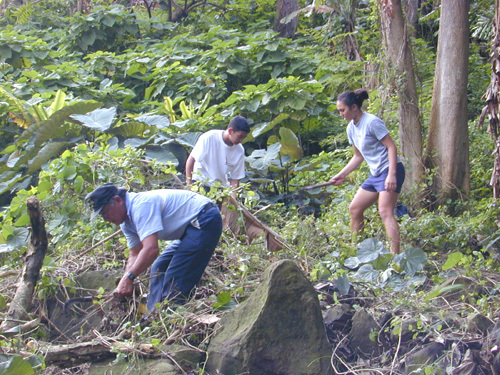 at Nā Pōhaku o Hauwahine.